We continue our look back at the Biggest Soul Hits of November ... today flashing back to 1970, 1975 and 1980. 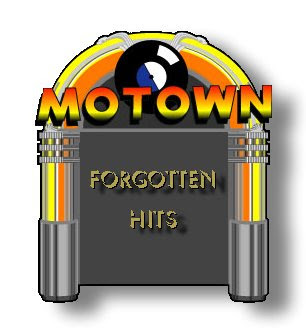 Four more Motown acts dominate The Top Ten for the month of November, 1970 ... The Temptations, Stevie Wonder, newcomers The Jackson Five and The Miracles (now billing themselves as Smokey Robinson and the Miracles). "Ungena Za Ulimwengu" barely made a dent on the pop charts ... and check out The Godfather of Soul, James Brown, at #2. While there are still quite a few cross-over hits in this month's Top Ten, the sounds are shifting ... disco is in its infancy stage, led by The Silver Convention, KC and the Sunshine Band and The Ohio Players (who also have the #1 Album for this month in 1975, "Honey"). "The Sound Of Young America" (also known as "The Motown / Motor City Sound") is giving way to The Sound Of Philadelphia. Not a single Motown Act is represented in this month's Top Ten Soul Hits ... but The O'Jays are in at #7 with their big hit "I Love Music". The Jackson Five (now known as The Jacksons ... and recording for Epic Records) have a big hit in November of 1980 with "Lovely One". Motown veterans Stevie Wonder and Diana Ross are also well represented in The Top Ten. And Prince is starting to make a name for himself, too. But perhaps the biggest surprise is the #4 Record this month ... play that funky music, white boys ... as Queen ... from ENGLAND no less!!! ... have a HUGE cross-over hit (going the OTHER direction) with "Another One Bites The Dust". We hope you have enjoyed our little look back at The Top Ten Soul Hits for November, 1955, 1960, 1965, 1970, 1975 and 1980. 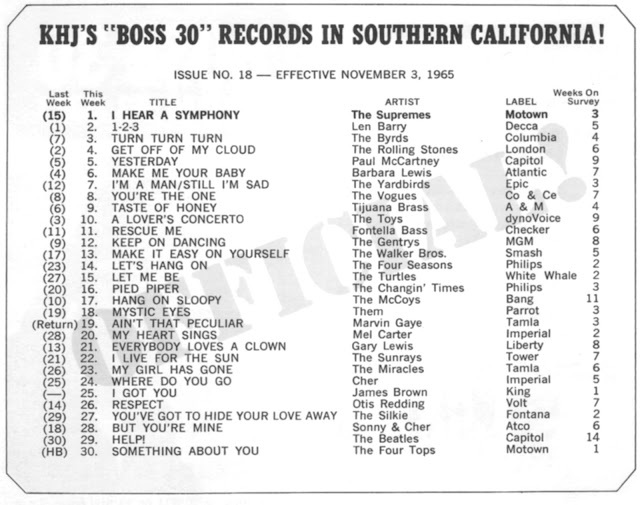 Again, charts are based on data compiled from the weekly Billboard Soul and R&B Charts by Joe Edwards in his book "Top 10's And Trivia of Rock And Roll And Rhythm And Blues, 1950 - 1980". Rock and Roll was brand new ... and Chuck Berry, The Grandfather of Rock And Roll, was first making his mark with his big cross-over hit "Maybelline" ... but the R&B / Soul / Black stations were still quite separate from traditional, mainstream radio in 1955, playing what only a few years before was still being referred to as "Race Music". The ONLY hit common to both the R&B Top Ten and the Pop Top Ten this month was "Only You" by The Platters. (It ranked at #6 on the Pop Chart for the month of November, 1955). That's not to say that these R&B hits weren't making themselves known to the white audience ... they were just being presented a little differently. Pat Boone charted at #10 with his white bread version of "At My Front Door" ... and Gale Storm had the #8 hit of the month with her clean and pure version of "I Hear You Knocking". Radio was experiencing lots more common ground by 1960 .. "Let's Go, Let's Go, Let's Go", "Save The Last Dance For Me", "Georgia On My Mind" and "Stay" are all in The Pop Top Ten for the month of November, too. The biggest surprise here has gotta be "A Lover's Concerto" charting so high on the R&B Chart. Based on a classical piece, this one evidently had mass appeal ... it also topped the pop charts. Lots of Motown this month, too, as Jr. Walker and the All-Stars, Kim Weston, The Temptations, The Miracles and Marvin Gaye are all represented with Top Ten Hits ... that's half the chart! 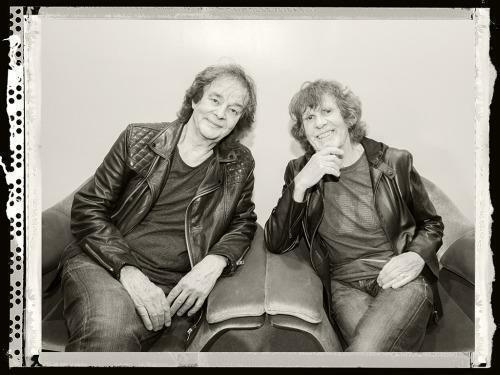 (The Doobie Brothers would rework "Take Me In Your Arms" as a rock track a decade later and have some success with it.) Gaye and Weston would team up a couple of years later for the timeless hit "It Takes Two". Tomorrow in Forgotten Hits we'll take a look at The Top Ten Soul Hits of November, 1970, 1975 and 1980. These charts are based on a book put together by Joe Edwards, who collected the weekly chart data from Billboard Magazine and then accumulated those points on a month by month basis, ultimately ranking The Top Ten Pop and R&B Hits for every year, 1950 - 1980. Glancing through the book today we find the nearly 300 pages of trivia questions riddled with mistakes ... but the chart data as a monthly popularity consensus is quite valuable ... and cause for celebration for at least a couple of days in Forgotten Hits. What happens when Soul Street crosses Broadway? Well you get one FUNKY Street!!! A little Soul Patrol today in Forgotten Hits! Just some Comic Fun for you Today that I thought you'd be one to appreciate! 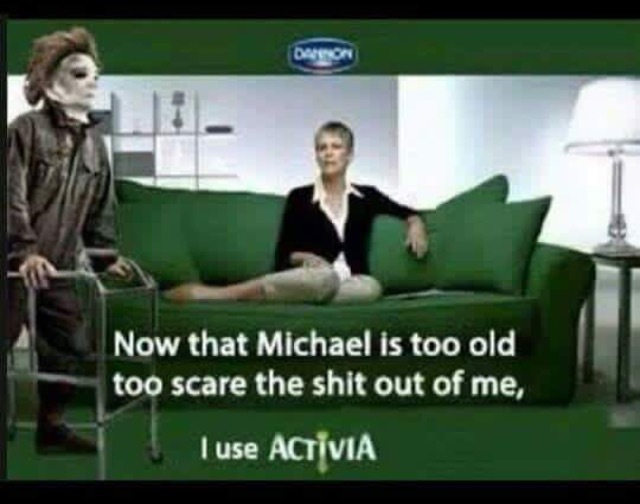 Well, it made me Laff! Who would have ever thought that FIFTY years ago the idea of a group called The Zombies could be so relevant!!! At 74 years of age, you would think that Mike Love might be slowing down, but that is hardly the case. Love is working on an upcoming solo album and book, both planned for release in 2016. Even though Mike is tasked with these individual ventures he is still touring more than ever. After twelve years, Bill Medley finally officially hired a new "Righteous Brother" ... other groups continue to preserve the musical legacy of their former selves in what amounts to not much more than a "tribute" to the music of said artist. I guess at some point that's going to have to be enough ... because it may be all we have left. Simply put, the point just continues to be driven home ... we have lost SO many great voices from our past the last few years ... it's becoming nearly impossible to keep this great music alive ... but the truth is this music will outlive ALL of us ... because it truly IS timeless. Some very sad news to pass along to all you Old Radio DJ's who spun all those THREE DOG NIGHT hit records in the 70's. I went to a couple of TDN recording sessions early in 1970 at producer Richard Podoler's recording studio. I was only fifteen years old at the time and had dreams of being a recording engineer and record producer, so going to those sessions was a real thrill for me and I still have vivid memories of being at them. RIP Cory. Cory's vocal work on Shambala will always be memorable for me. I remember playing that song for the first time during my short interval at KHJ. It turned into an anthem that I have to listen to periodically, even all these years later. Didn't 3DN w/Wells wrap up a couple of New Jersey gigs not ten days ago? Wow, it's almost like he died with his boots on. He will be missed. Lots of great interviews with Corey on YouTube. Billy, I'm not sure. Several of the group's shows were either canceled or rescheduled over the last weeks due to "severe back pain" being experienced by Cory. But I really like the video you posted above. What with the recent passing of original Three Dog Night lead vocalist Cory Wells (as has been mentioned on your blog several times lately) I thought you might be interested in this update. Three Dog Night has been scheduled to play at our annual Ribfest charity fundraiser on November 14 here in St. Petersburg, Florida. Ribfest is a 3-day event held the second weekend of November every year since 1990 and features many classic rock bands along with, of course, the proverbial barbeque ribs and beverages. Just posted on the Ribfest website is a message from Three Dog Night announcing that they will be honoring all their confirmed tour dates that are currently scheduled starting the first week of November. The post states that according to the band's agency, WME, prior to his death, Mr. Wells had been concerned about cancelling shows and disappointing Three Dog Night's fans, so he encouraged the band to get back on the road. Continuing with the post, the band took Wells' recommendation and invited one of his favorite singers to join Three Dog Night when they resume the tour in November. A quote from the band's founder Danny Hutton, "Our hearts are heavy, but we are going to honor Cory's wishes and continue. He'll always be with us in spirit." So there you go. No mention as to who this new singer is but apparently it will not be Chuck Negron, the third original Three Dog Night vocalist who has been out of the band since the late 1980s. But we will see. Yes, I do plan to attend the all-day event (one of my favorite events and I never miss it). I will send in a review shortly afterward so all the Forgotten Hits readers can hear how the new incarnation of the band performs. Other groups on the bill this day are Robby Steinhardt (the former violinist from the band Kansas) who will perform Kansas music, .38 Special, a couple of tribute bands, one performing Doobie Brothers music and the other Santana music, and finally one of my favorite bands, America, who I saw just last year. Three Dog Night is scheduled to close the show. I saw Three Dog Night for the very first time in November of 1969 (I must have been just a child LOL) and many times since. So 46 years will have passed since I first saw the band and then now. Frannie sent me this reminder of former Journey lead singer Steve Perry's return to the stage last year with the rock group The Eels, with whom he performed the Journey classic "Open Arms". It's funny because at the time I thought that this was his way of working himself back into the spotlight ... yet it just never happened. (A video clip of this performance is included in the link below). I've often said that without Chuck Negron of Three Dog Night there never would have been a Steve Perry ... but this article takes it a step further and mentions what a fan of Sam Cooke's music Perry was. Ironically I heard an interview recently that pointed out the very same thing. "Listen to 'Lovin' Touchin' Squeezin' ... that's Steve Perry doing Same Cooke" ... and it is ... it's almost like he reinvented "You Send Me" thirty years later! The record by the Changin' Times did make our local survey here in OKC although I really can't remember how high it got ... I don't believe it charted that high though. #18 by Them was quite a record in that the lyrics didn't start until about a minute into the song. Song #20 just goes to show that Mel Carter had songs other than HOLD ME! THRILL ME! KISS ME!, which I guess is considered to be his signature song. And who knew at the time that song #25 by James Brown would turn out to be the only song one would hear on "oldies" stations many many years later? I enjoy looking at these surveys from other radio markets. I play on you tube those songs I haven't heard or thought about in years, that is if you don't post them. Sometimes a record listed reminds me of another record. Although "Hold Me, Thrill Me, Kiss Me" was certainly his biggest (and it IS a timeless classic), Mel Carter actually had SIX songs that made The National Top 50: "When A Boy Falls In Love" (#38, 1963); "Hold Me, Thrill Me, Kiss Me" (#8, 1965); "(All Of A Sudden) My Heart Sings" (#35, 1965); "Love Is All We Had" (#50, 1966); "Band Of Gold" (#31, 1966) and "You You You" (#49, 1966). And he's still recording today. (A couple of years ago he sent me a copy of his brand new CD and we featured a track in Forgotten Hits). This is SO cool. WCBS-FM was the first station broadcasting from the then new master antenna high atop the Empire State Building. Our station played the song while this incredible light show was done last week. So cool to have MY voice come out of that legendary facility. Only in New York. The Supremes make a HUGE leap into the #1 Spot this week on KHJ as "I Hear A Symphony" climbs from #15 to #1 in only its third week on the chart. 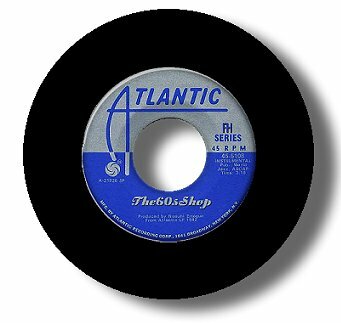 Another big Top Ten mover would be the two-sided hit by The Yardbirds "I'm A Man" / "Still I'm Sad", up from #12 to #7 this week. Other tracks climbing five or more places include "Let's Hang On" by The Four Seasons (#23 to #14), "Let Me Be" by The Turtles (the week's biggest mover, up to #15 from #27) and "My Heart Sings" by Mel Carter (#28 to #20). The songwriting team of Lennon and McCartney can claim THREE of this week's Top 30 tracks with "Yesterday" (#5), "Help!" (still holding on at #30) and the Silkie version of "You've Got To Hide Your Love Away" (#27) from the same film. Also of interest ... The Changin' Times' version of "Pied Piper", charting here a good six months before the Crispian St. Peters version became the big national hit.